The outer wall of State Haj house is repainted after UP government painted the walls saffron. 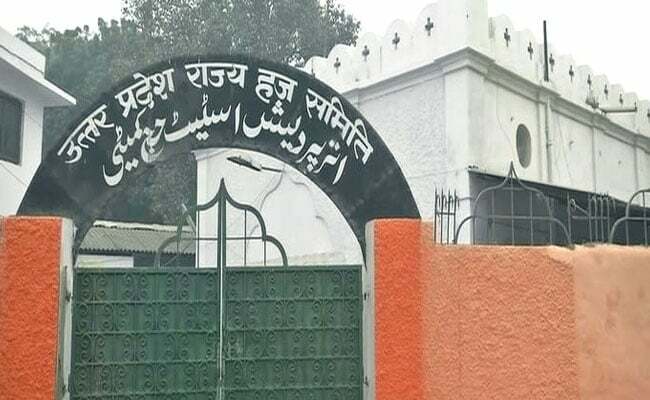 Boundary wall of the Haj samiti office in Lucknow got back its original colour on Saturday, within 24 hours after the saffron colour on the structure evoked criticism. The BJP-led state government blamed the contractor for the incident and said that strict action will be taken against him. "Secretary of the UP Haj Committee R P Singh has taken immediate cognisance of the matter, and issued directives for its rectification," a statement issued by the government said. The boundary wall of the Haj office, which is opposite the state legislature building in the heart of the capital, was given a saffron look overnight, days after the secretariat building facade was given the same coat, news agency PTI reported. The change of colour evoked sharp reactions from Muslim community leaders. All India Shia Personal Law Board spokesperson Yasoob Abbas took strong exception to the change in colour. "What is this? The BJP will paint it saffron, the SP will choose green and the BSP blue...This is politics of colour and should be avoided," he said. The boundary wall of the Haj committee office in Lucknow was painted in saffron on Friday. "Painting the Haj house saffron is really objectionable. Saffron colour is being used for political purposes. Do they want Haj pilgrims to wear saffron next?," Muslim cleric Shahar Qazi Maulana Abul Irfan Miyan Firangimahli told NDTV. Opposition Samajwadi Party accused the BJP government of indulging in "blatant saffronisation". "The BJP is a party known for changing colours. It is indulging in these antics only to hide its faults and failures. 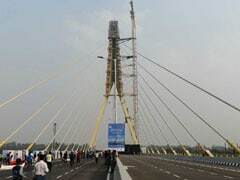 If the BJP really considers the saffron colour as sacrosanct, it should not indulge in politicisation of the colour and indulge in blatant saffronisation," SP spokesman Sunil Singh Sajan said. As the government faced flak from all cornor, its lone Muslim minister in the state cabinet tried to project saffron as a symbol of brightness and energy. "I fail to understand the problem of those having issues with the new colour. Is saffron an anti-national colour? Saffron is a colour which symbolises 'ujala' (brightness) and 'urja' (energy)," Minister of State for Minority Affairs Mohsin Raza had said.